This weeks photo tip could be viewed as a little self indulgent though it is better than the one I was persuaded not to post. What was it you ask? Go out and grab the first issue of PhotoComment magazine in print. Alas, I have been told not to use that as the photo tip so this weeks tip is to attend Photo Walks. Personally I like social Photo Walks where people get together and in a good group of people, the creative energy is passed around, increasing as it makes its way through each member of the walk. Due to this enthusiasm, PhotoComment will be holding its first open PhotoWalk this Saturday 4 December 2010. 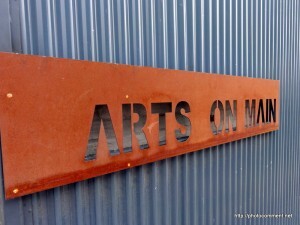 Meeting place is Arts on Main in Johannesburg CBD. Details can be found on our Facebook Event page. What ever you do, dont end the year without grabbing some friends by the arms and going out to photo walk. Get inspired. Travel light by limiting gear to a lens or two max. Limit the gear and increase the creativity. Above all, have fun and learn from each other.